A few things worth the spend. This past weekend, while on a photo project in Atlanta, we found the coolest diner in the neighborhood we were staying in. 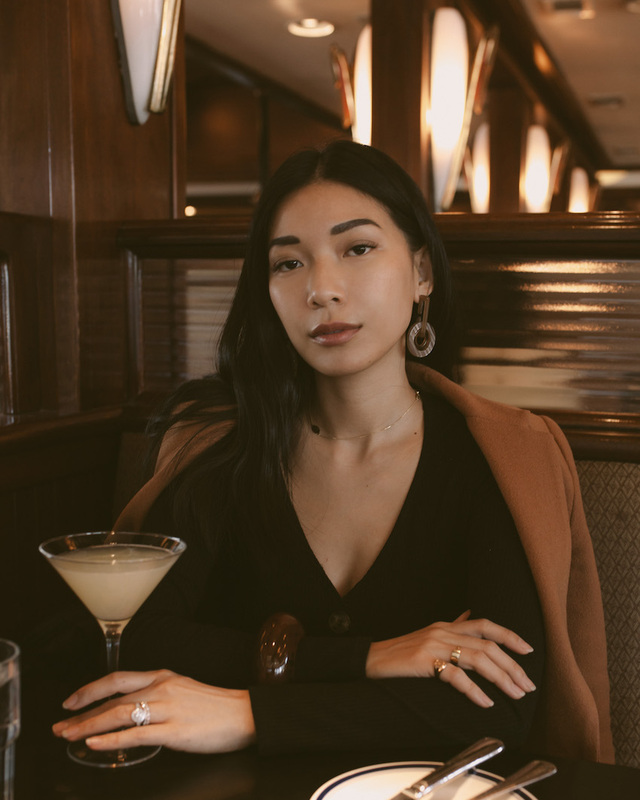 The iconic Buckhead Diner is upscale comfort food with retro interiors and a solid good spot for a Bee's Knees cocktail. Just before leaving LA, I received my order from The Dreslyn and stuffed the pieces into my carry-on. 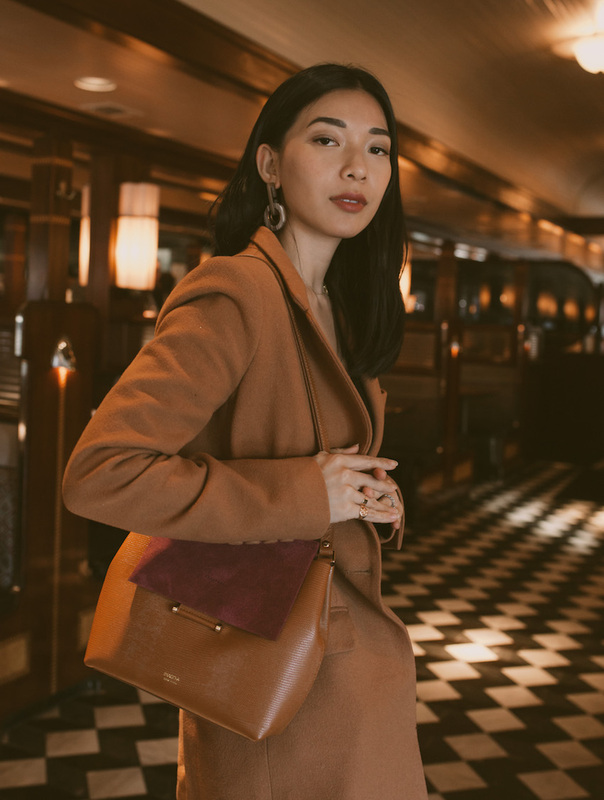 I discovered this brand Imago-A on their website, which makes scultptural, luxurious handbags that are instant outfit classics. I love the Imago-A Carré shoulder bag I bought, because of its unique raspberry and caramel combination and lizard embossed texture. I'm also steadily growing my Rachel Comey earrings collection with the addition of this lightweight acrylic pair that gives me 70s-rich-girl vibes. And I got my first Lizzie Fortunato piece, a jewelry designer I've admired for a long time. I actually have zero cuffs before acquiring this and I'm sure this tortoise cuff will come in handy when I need a statement piece to a minimal dress. 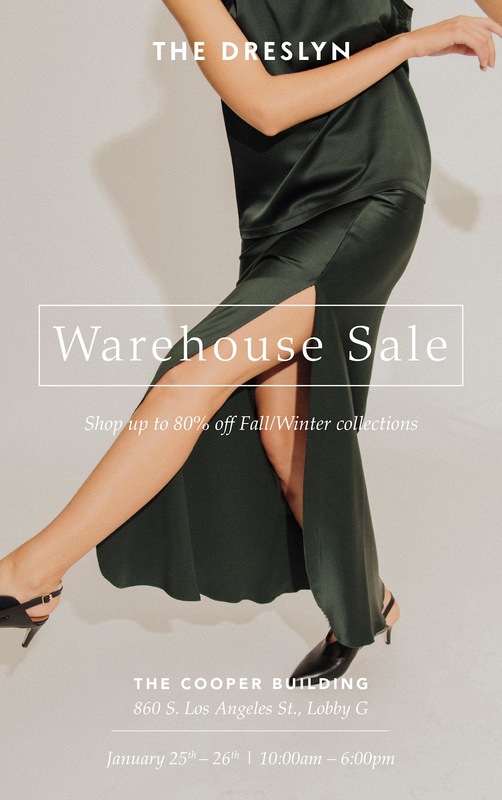 It's the time of year for The Dreslyn's semi-annual warehouse sale, where they take all of their last season's designer stock and price it up to 80% off. I never miss a sale, because the selection and prices are always great for my habit of building a quality, seasonless wardrobe. All the info is on the flyer here, but if you'd like a chance to get into the VIP preview night, check my Insta Story!